Extreme is an understatement. 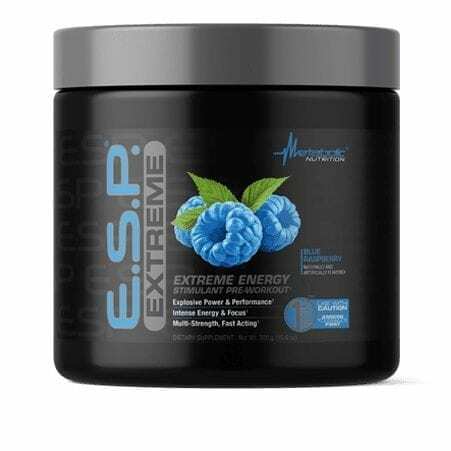 Metabolic Nutrition really ups the ante on their new Pre-Workout, E.S.P. EXTREME Blue Raspberry. This specially formulated pre-workout will boost energy levels, increase physical output and strength, and increase overall performance. Feel like a monster uncaged and rip through your routine in no time. Your toughest decision will be what excuse you make up for being late – you aren’t going to want to go home. This product is a high-potent stimulant and is meant for training days. Brand new ESP like the original ESP, not the weak 2nd generation. 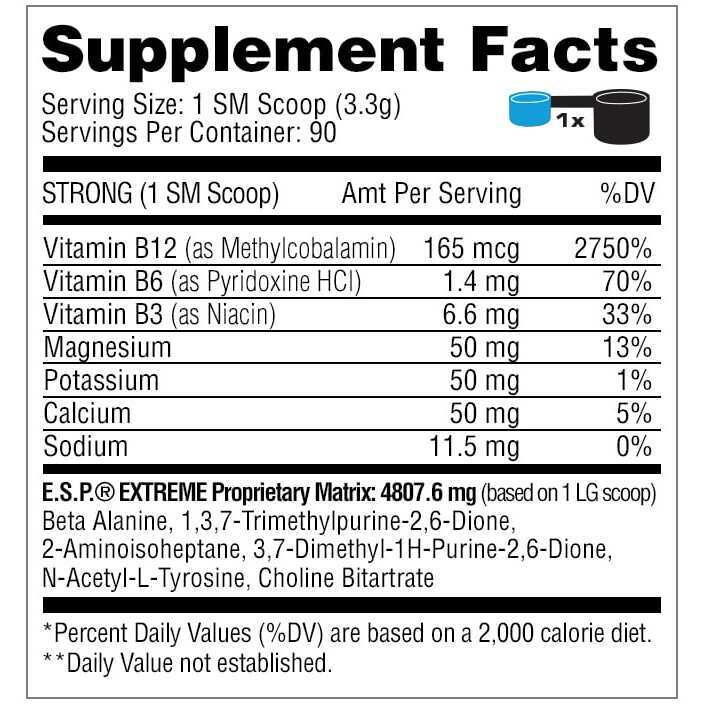 Metabolic Nutrition’s E.S.P. Pre-Workout was already the most powerful, most extreme pre-workout on the market and then they said that wasn’t enough. It wasn’t enough power, it wasn’t enough force, and it wasn’t enough flavor. So they broke all the rules and packed it with even more power, more focus, more energy, and exploded your expectations with four delicious flavors. 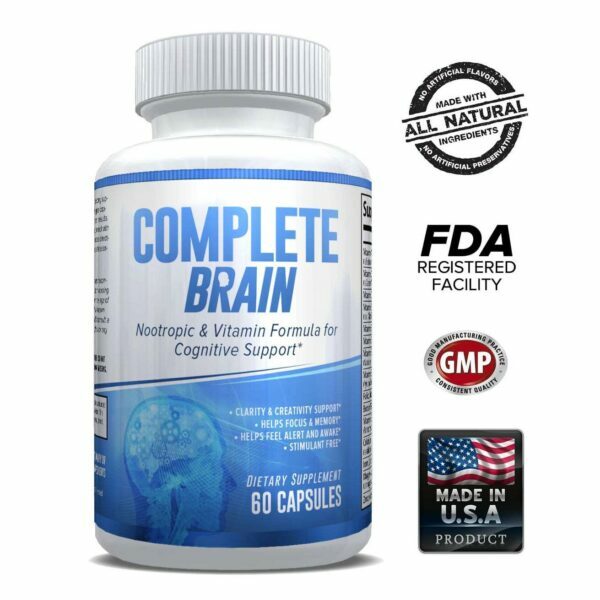 This is the brand new 3rd-generation formula that takes what worked well in the first generation and makes it even more extreme. This is not the 2nd-generation formula. E.S.P. EXTREME 3rd-generation takes you back to the satisfaction of 1st-generation but with added power. Introducing E.S.P. EXTREME Pre-Workout in Blue Raspberry, Watermelon, Fruit Punch, and Green Apple. If you missed a couple training sessions and you need to make up for lost (wasted) time – ditch the excuses and scoop yourself some success. Or rather, if you do it right every single day, then go EXTREME and smash your goals on a daily basis. Get pumped, go full monster and destroy your training session with this powerful pre-workout. Utilize the unique large/small dual scoop for measurements and find the level right for you – follow all package instructions until you find the right amount for your body and your workout. The building block of carnosine, a molecule that helps buffer acid in muscles, increasing physical performance. Aids lean muscle gain. Antioxidant. Anti-aging. * Jack of all trades. A caffeine metabolite – used for energy and performance. A principal alkaloid of the cacao plant that acts as a vasodilator. This opens blood vessels and is used for increased performance and muscle pumps. 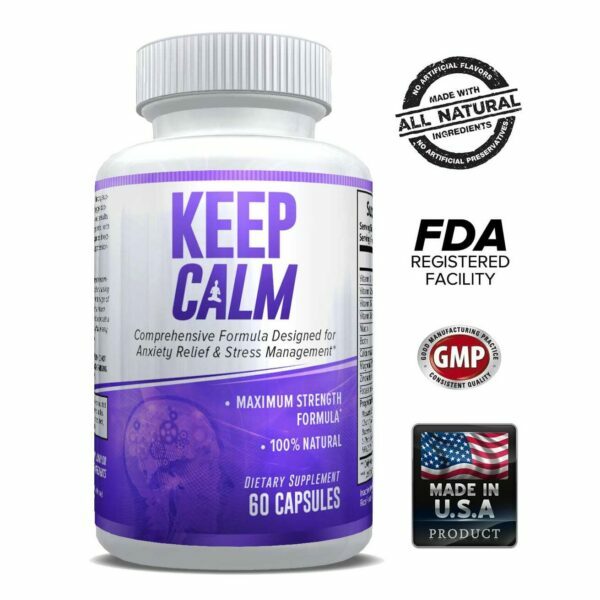 Used to enhance athletic performance and has a range of other purported uses, such as reducing cholesterol levels, lowering blood pressure, controlling mood swings, and more! * This ingredient keeps you from getting tired or worn out. I didn’t like the 2nd-generation ESP product – what is different? The 2nd- generation product was a result of a banned ingredient from the 1st-generation. Metabolic Nutrition tried to provide a similar product but it missed the mark. Metabolic Nutrition more than made up for the hand they were forced upon in 2nd-gen with a brand new formula that takes you back to what was good about the 1st-gen and expanded on it, packed it with more power, and made sure this time it is back to what you loved and trusted. What would I use this product for? If i’m not training today, should I still take my supplements? Although it won’t necessarily cause any harm, there wouldn’t be much point in taking a training supplement unless you plan on training. E.S.P. EXTREME is meant to be taken before activity. I am not trying to bulk up, but rather lose weight. Should I still be taking a pre-workout? Great question. Yes! E.S.P. EXTREME will increase energy, motivation, and even increase metabolism. It won’t harm your goals to lose weight – in fact it gives you much of what you need to do just that. Night training: Do I still use pre-workout? Absolutely. If you want to make sure the amount of caffeine you are consuming won’t keep you up, pay attention to the levels. You will reap all of the benefits, despite how late you grind. I took pre-workout and I don’t know if I feel anything? This is possible! Not every supplement or every session is a guarantee for your body, mood, training level, etc. If you drink a lot of tea, soda, coffee, etc. that has high levels of caffeine, you may need to cycle off all stimulants and try the pre-workout again. This almost always renders results!